Vehicle Wraps and Graphics. Cheapest Method of Advertising. You see them everywhere! Billboards, Bus Wraps, Backlit Displays, and Bus Benches. Most of these displays are static and as a result only get seen in one location. One solution is to have displays in multiple locations. But whether you’re a small company with one vehicle or have an entire fleet, and instead of paying thousands of dollars per month, an eye-catching vehicle wrap will normally run you $1,500-$2,000. 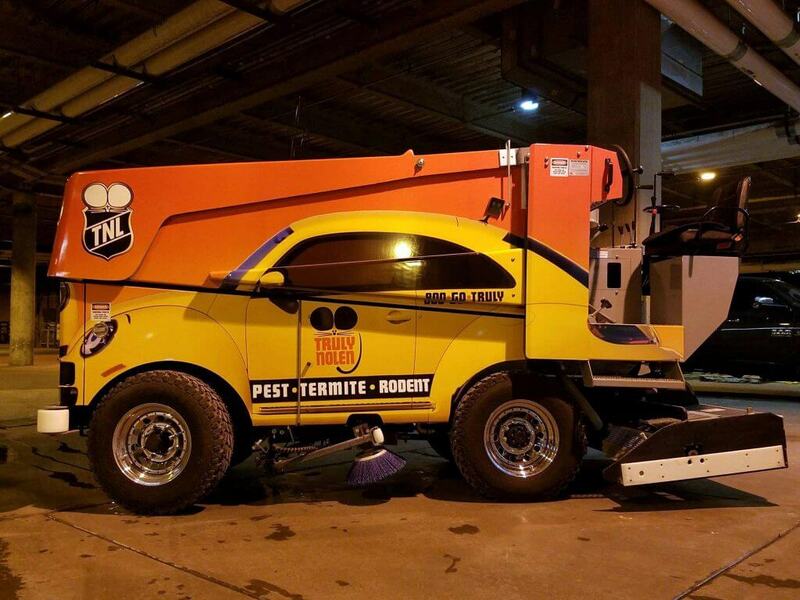 We’ve used this ZAMBONI we wrapped for Truly Nolan. A great visual that will be in front of a market for an entire hockey game.